I have grown up with Sherlock Holmes. He’s been in the bookcase, he’s been on the radio, he’s been on the stereo and even more recently, he’s been on my television screen. Yesterday marked the first time I have seen him on stage. 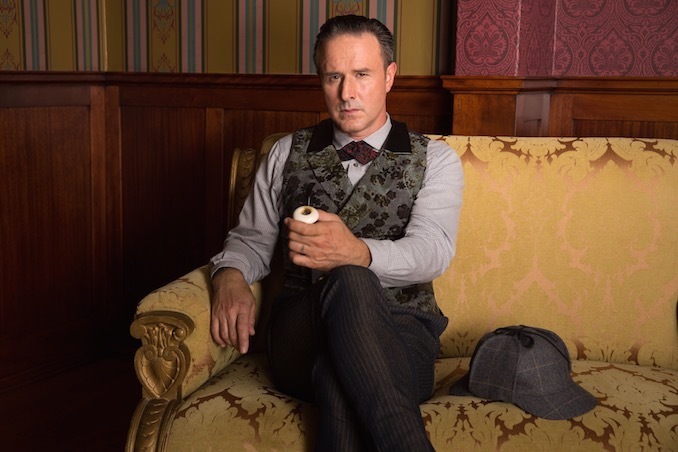 David Arquette plays a very peculiar detective; yes he is still the arrogant rogue we all know and love, but I had imagined him a touch more suave than the intoxicated yet sharp buffoon played by the actor. 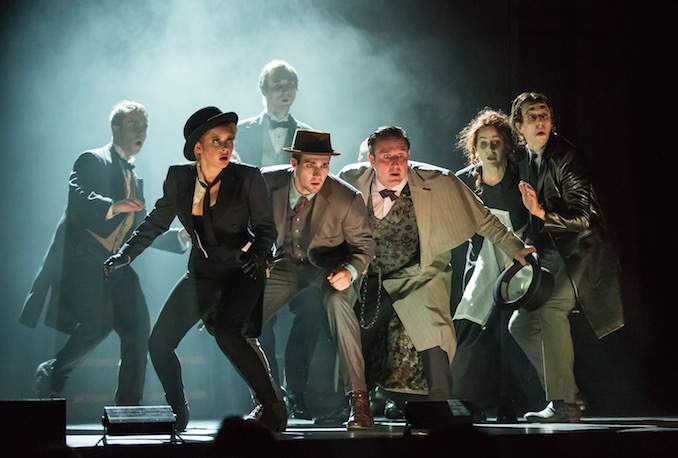 I have to say, the change was interesting and by the end of Act 1 Arquette’s Sherlock had very much grown on me. 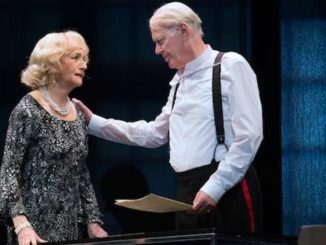 In the throws of a North American tour, Starvox Entertainment brings this production to Toronto for a limited 10-day run at the Ed Mirvish Theatre. One of the challenges of a tour is that set and props are generally kept to a minimum. Luckily in this case, the actors were energetic enough to fill the stage with their comic chaos. 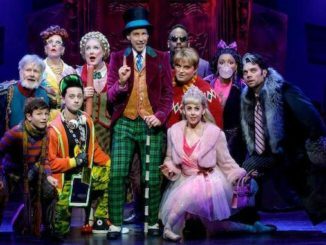 There is clearly a talented team on stage here, with a lot of laughs coming not only from Arquette, but also from the wildly entertaining Kyle Gatehouse and various other members of the ensemble. A text peppered with whimsy, accompanied by complimentary direction and an energetic cast is always a joy to experience. Sherlock is always pretty fast paced, thus reflecting the speed of the prodigal detective’s brain, however there were times when I thought the action could have used a few reflective seconds just to reiterate plot lines. I left the theatre highly entertained, but not 100% sure what had happened to tie up all the narrative threads. I would like to think, as a very regularly theatre goer, that I am pretty switched on, so I dread to think how others managed to keep up. 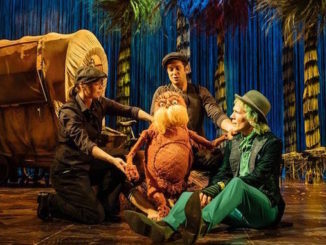 Whilst I can only imagine the lion’s share of tickets to this production have already been sold on brand and star casting alone, I would certainly recommend all Torontonians without a booked seat to go and grab what is left. I mean, we can all use a laugh, right? Plus if you figure out exactly what happened in the end, let me know!